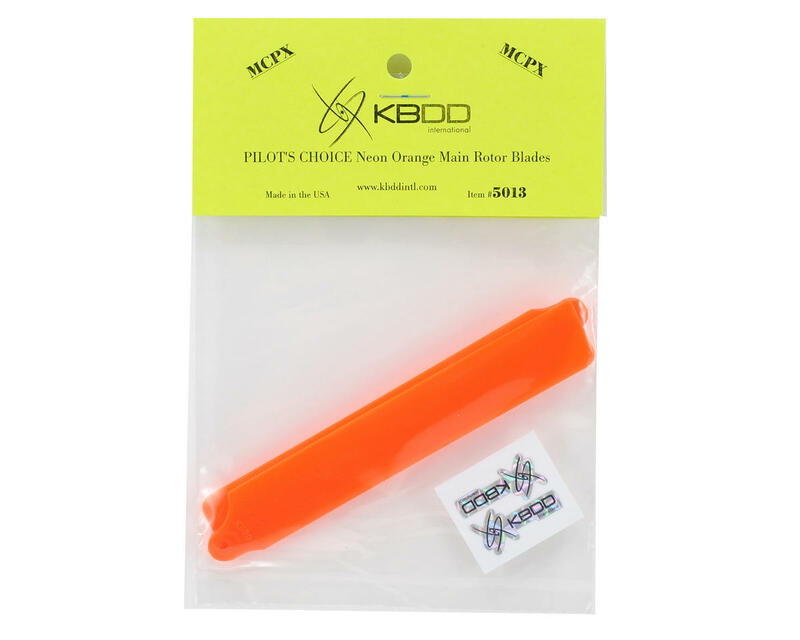 This is an optional KBDD International "Pilot's Choice" Main Blade Set, and is intended for use with the Blade mCP X helicopter. The "Pilot's Choice" blades are quicker, lighter and more agile than the standard mCP X blades. 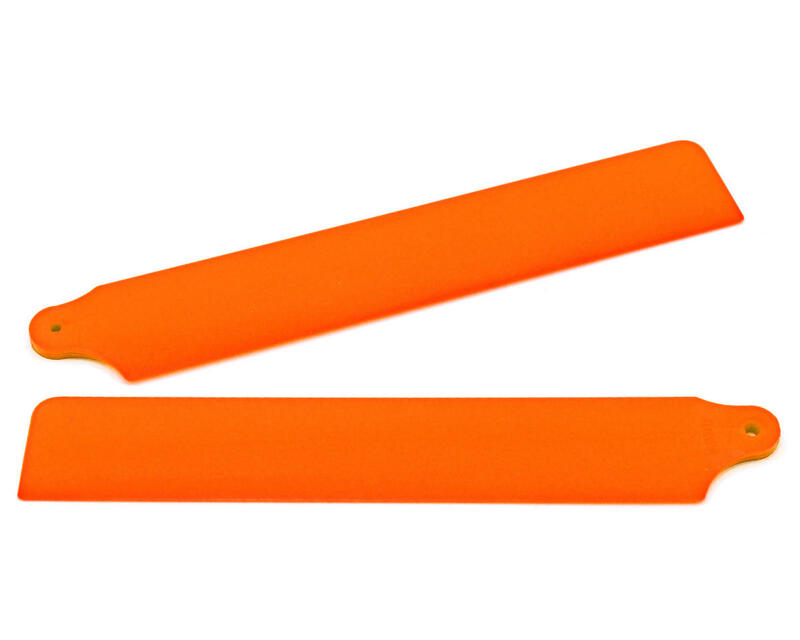 Because of their quickness and agility, these KBDD International blades are recommended for the more experienced pilot. Available in Pure White, Neon Yellow, Neon Lime, Neon Orange, Pearl Blue and Hot Pink.